Overqualified individuals have more experience, KSAs (knowledge, skills, abilities), and/or education than what is needed in their job. Prior research has identified autonomy as a work characteristic that helps individuals deal with overqualification; yet, it remains unclear as to why this is the case. The goal of the present study was to identify the mechanism through which autonomy exerts its beneficial impact. Drawing on the literatures of person-environment fit and proactivity, we first hypothesized that, in addition to autonomy, job crafting likewise moderates the relationship between overqualification and both withdrawal and turnover intention as central outcomes. Job crafting denotes a proactive type of behavior whereby individuals change the boundaries of their jobs. Next, we hypothesized that job crafting is positively related to autonomy, and that job crafting represents the key mechanism through which autonomy moderates the overqualification-outcome relationship. 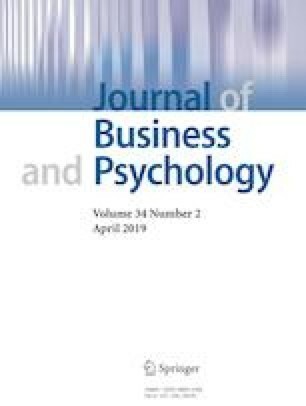 In a multisource sample of 226 employee-supervisor dyads, we found that overqualified employees were significantly more likely to withdraw from their work and intend to exit if (a) their job provided little autonomy or (b) if they engaged in low levels of job crafting. When individuals experienced high levels of autonomy or engaged in high levels of job crafting, the overqualification-outcome relationship was reversed (or non-significant). Moreover, autonomy was positively related to job crafting. Finally, we found evidence for mediated moderation, such that the moderating effect of autonomy on the relationship between overqualification and both withdrawal and turnover intention was transmitted through job crafting. We discuss theoretical and practical implications. We thank Tamara Berrino and Sandra German for their help with data collection. This work was supported by a grant from the Schweizerischer Nationalfonds [Swiss National Science Foundation, grant number 100019-156537] awarded to Maike E. Debus. Erdogan, B., Bauer, T. N., Peiró, J. M., & Truxillo, D. M. (2011). Overqualified employees: Making the best of a potentially bad situation for individuals and organizations. Industrial and Organizational Psychology, 4, 215–232. https://doi.org/10.1111/j.1754-9434.2011.01330.x. Federal Department of Foreign Affairs. (2017). Language—facts and figures. Retrieved from https://www.eda.admin.ch/aboutswitzerland/en/home/gesellschaft/sprachen/die-sprachen%2D%2D-fakten-und-zahlen.html. Accessed 31 Jan 2019. Randstad. (2012). Skills mismatches and finding the right talent (incl. quarterly mobility, confidence, and job satisfaction). Retrieved from https://docplayer.net/19445179-Skills-mismatches-finding-the-right-talent-incl-quarterly-mobility-confidencejob-satisfaction.html. Accessed 31 Jan 2019. Reh, F. J. (2018). Learn about the cost of high employee turnover. Retrieved from https://www.thebalancecareers.com/the-high-cost-of-high-employee-turnover-2276010. Accessed 31 Jan 2019.